Today we have Chunyuan with this fun birthday card. She stamped the polka dot rectangles using our new Texture Tiles: Be Cute clear stamps and created the sentiment using our Fill In The Blank stamp set and Word Fill In The Blank dies. It is modern, clean and simple. I love that. 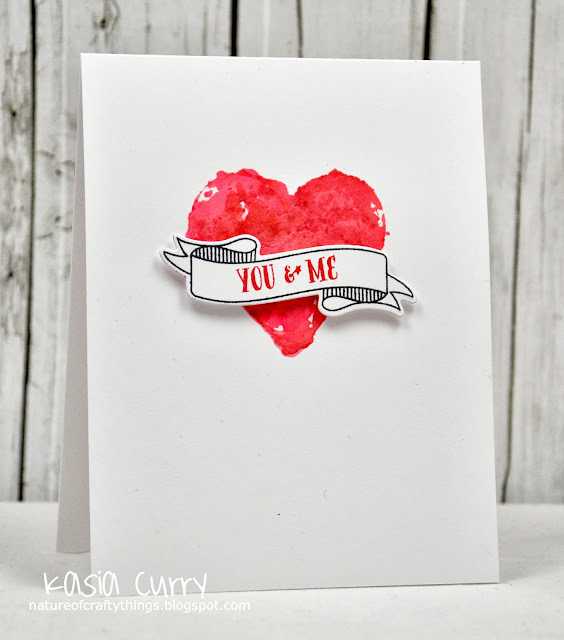 Kasia used our Build A Banner and Written In The Stars clear stamp sets to create this next card. I love the way the banner pops against the red in the heart. Isn't it great? Love the angled design of the first card and yummy colors. The second card is just so sweet. Fabulous cards, ladies...so creative a fun!! !